The abbreviation, OST stands for Offline Storage Table. It gets created when Cached Exchange Mode is enabled in MS Outlook configured with an Exchange account. 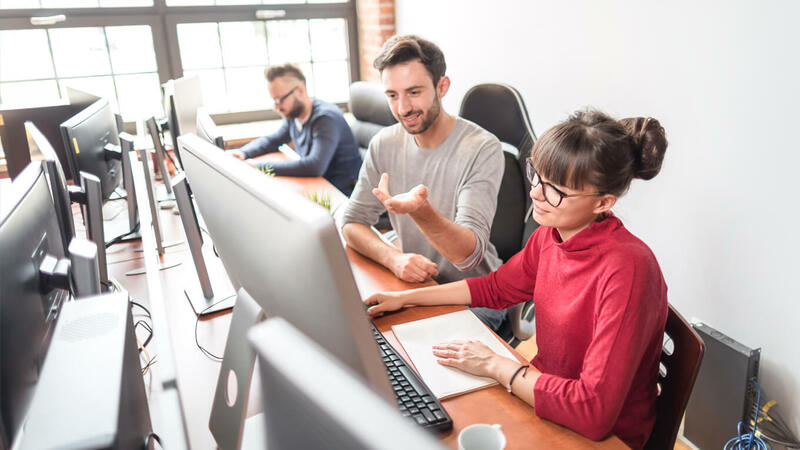 When the Exchange Server is offline, the OST file gives access to the mailbox data, and this file gets synchronized with the server mailbox and updates all the new email information as soon as the Exchange is online. So, with the OST file, the user can work offline as well. There might turn up certain occasions when the users need to disable these OST Files. The very necessity of disabling OST files comes in many situations. The system frequently freezes due to space problems. This problem commonly occurs as a result of huge OST files. But what happens as a result of this problem? The problem leads to corruption, thereby preventing the Outlook from functioning properly. Therefore, it becomes necessary to have the large-sized removed so that the Outlook may work without any problem. And to stop OST file from growing, one can disable the offline mode in Outlook. Go to the Tools menu. Select Send/Receive. Choose the folder required (in case of a particular folder). In case of synchronization of all folders, go to Tools menu, go to Send/Receive and then click on the Send/Receive All option. In case the user wishes to synchronize groups, go to Tools menu, select Send/Receive. Click on the name of the group. After the synchronization is complete, move to the Tools menu. Now, click on Email Accounts and then go to click New or Change the existing email account and then click Next. Having done the above, move to the name list and from the name list, select the Microsoft Exchange Server name and then click Change. A Change Email Account dialog box is made visible. Now, click More Settings. 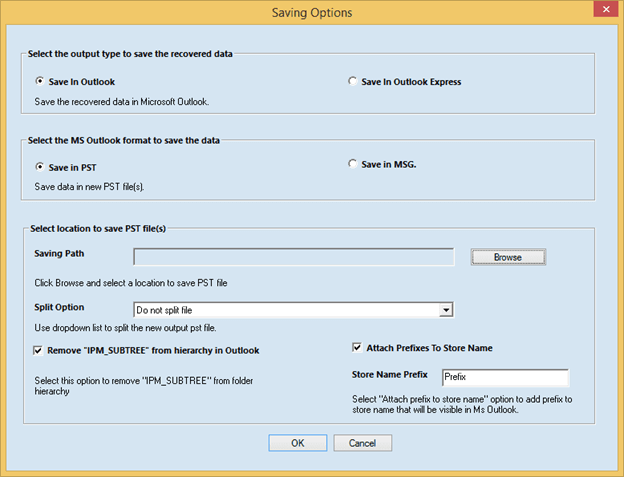 From Microsoft Exchange dialog box, choose Advanced and then click Offline Folder File Settings. Finally, select the option, Disable Offline Use to disable OST Files. It so happens many times that the OST files on your system are inaccessible due to various reasons. In that case, it is necessary to find a third-party tool to help you. But how can the tool help? Well, one can easily convert OST to PST formats so that one no longer has to deal with the problems of OST files. 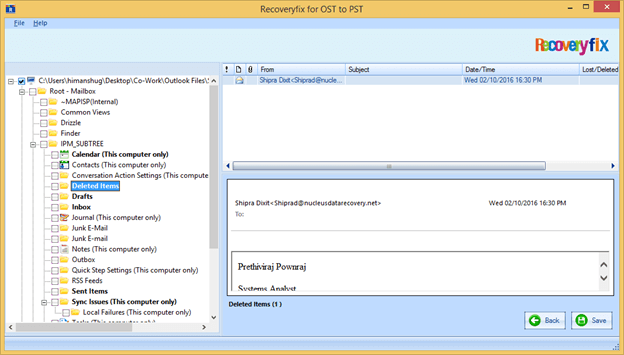 RecoveryFix for OST to PST Converter can effectively convert the OST File to PST format. The Tool is not concerned if the file is large. Further, the tool can easily scan an OST file using one of its two scanning modes. The Tool is capable of speedy recovery without any loss of data, and it is further capable of recovering severely damaged files. Moreover, the tool can recover mailbox data from orphaned OST files. The Tool also allows its user to preview the converted file before saving it, keeping the original hierarchy intact. Additionally, the Tool also enables the user to select and preview particular datum. 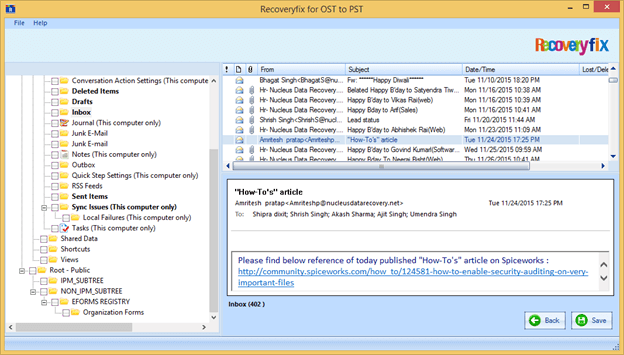 Using RecoveryFix OST to PST Converter can recover those files that have been deleted permanently either intentionally or accidentally. The recovery can be done speedily. Adding on, it offers a preview and allows saving in different formats such as PST or DBX or MSG or EML files. Are you looking for easy steps to Disable OST File? We hope the writeup has provided you some help concerning this matter. 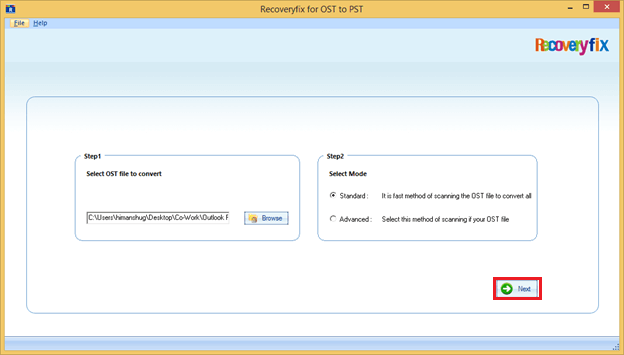 But if your OST files are inaccessible, do not be afraid to use the OST to PST Converter by RecoveryFix.